School meals are £2.10 per day, or children may bring a healthy packed lunch to eat in school. Here are our winning team of Fritchley caterers. They have not only been awarded the Gold standard for their dinner provision by Derbyshire County Council but have also been nominated for the Platinum award! 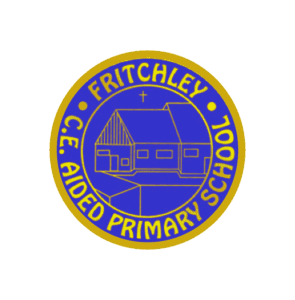 We wish them good luck with their nomination and thank them all for the fantastic job they do for us here at Fritchley. 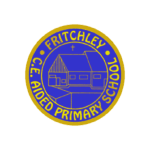 It is also worth mentioning, as we are very proud of them, that this catering team have also been awarded the prize for the highest uptake of school meals in the whole of Derbyshire – a great achievement and the result of lots of hard work to produce wonderful meals for the children of Fritchley. There has been a change in how school meals are processed within schools. This change became effective from 1st April 2013. The changes will not affect the service provided to your child for school meals but it does impact on the process of paying for the meal. Before 1st April the debts that were owed for any unpaid school meals were the responsibility of the County Council and they would follow a procedure to recover those debts. Now the debt is the responsibility of the school and so it is very important that all meals are paid for in advance to ensure debts do not accrue. Any debts that do accrue will be subject to the schools charging policy, details of which can be accessed via the website. It is very important to understand that any debts that are not recovered will have to be paid for somehow and will inevitably take away funding from other areas of the school, i.e. books, activities etc. It is in the interest of all pupils to prevent this from happening. Please send dinner monies in an envelope each Monday or each term with your child’s name and days a meal is required. In Derbyshire we have put a great deal of time and effort into creating healthy menus and promoting the healthy choices to pupils. We also want to provide parents with all the information they need about school meals and that is why we have developed this website. Most schools offer 2 choices of hot main meals and a jacket potato or sandwich per day. The menu is on a 3 week cycle and changes every 6 months. We offer a standard portion of a main meal with vegetables, salad, bread, fresh fruit and drinking water freely available. All our menus meet and exceed the current Government nutritional standards. The meal price for a Primary school child is £2.10 this is excellent value for money! (Price correct from September 2018).